With careful planning and the right safety equipment – hitting the road with your canine companion can be fun and hassle free. More often than not, dogs make for willing and eager travel companions. Some dogs have even achieved literary fame as canine car companions, like John Steinbeck’s French poodle Charley. 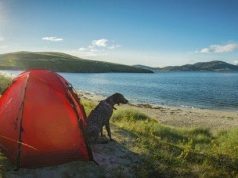 But whether your dog is eager or reluctant, having the right equipment and attitude can help to assure that the trip is safe and satisfying for all. 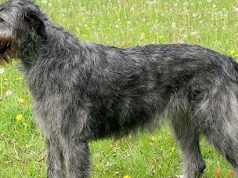 Lead, collar and ID tag. If your dog were to get loose far from home – that’s bad. 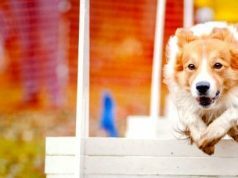 If your dog were to get loose far from home without any form of ID – that’s really bad. Food, water, bowls. 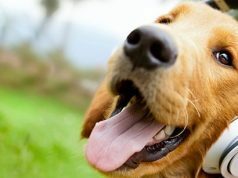 Bring along a sufficient supply of the food your dog is accustomed to eating. Bring along plenty of water, too – and bowls, of course. Changing to food and water that are different from what the dog normally consumes can combine with the car’s motion to create, shall we say, unpleasant bodily reactions. Blankets and baggies. Bring blankets for bedding, and in cold weather, for warmth. Bring waste disposal baggies for parking lot rest stops (You wouldn’t want to accidentally step in that, would you?). Old washcloths. Handy to have on hand for wiping muddy paws that have just bounded through roadside puddles. Some dogs love to get in a car, hang their heads out the window, and revel in the experience, jowls and ears flapping in the breeze. But that’s not a good idea. Even if your dog is a happy traveler, it shouldn’t be allowed to roam free within the confines of your car. 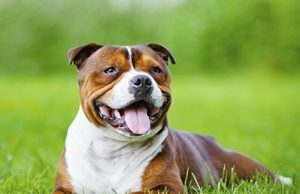 That could be very bad for your dog in the case of an accident, and an unrestrained dog could even be the cause of an accident. And all dog body parts should remain inside the vehicle at all times. Dog crates are great for car travel, assuming that the size of your dog isn’t a limiting factor. When choosing a crate for your dog, it should be large enough to permit the dog to stand up completely inside and turn around, but there shouldn’t be so much room that the dog can slide around inside in response to the car’s movements. It should be well-ventilated, and structurally sound. And it’s important that the crate be securely fastened in place; a loose crate isn’t much of an improvement over a loose dog. If a crate won’t work for your dog, there are other options. A harness that is fastened to a seat safety belt is a great alternative. It provides the dog some freedom, but restrains the dog in an accident. Be sure to buy a harness that’s specifically designed to be used with safety belts. Barriers can also be effective restraints, and are great for securing a dog in an open area, such as in a van, or in the back of a wagon or SUV. Be careful, though, when you’re shopping for a barrier. Be certain that the barrier you select can be securely attached to the interior framework of your vehicle, and that it’s rated to restrain the weight of your dog in an accident. YOU might be up for grinding along hours at a time on the road, but your dog isn’t. And keeping your dog restrained and contained in your car for hours on end is a good way to sour it on car travel. Frequent potty breaks and opportunities to burn-off a bit of pent-up energy will help to make your dog a happy traveler. Just be careful not to have an escapee on your hands when you let your dog out of the car! And when you do stop, be sure to never leave your dog in the car in the hot sun – even if you do crack the windows. Temperatures can climb to levels that aren’t dog-friendly very quickly. 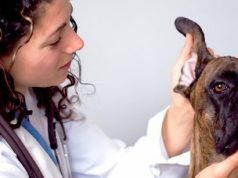 If this will be your first trip with your dog, you might want to discuss your plans with your vet briefly. There are medications that can help with problems like motion sickness and anxiety. It would be good to know what’s available – just in case. It’s often said that dogs are man’s best friend. With the proper equipment and with planning, there’s no reason to leave your best friend behind when you hit the road. Be careful, be safe – and have fun! 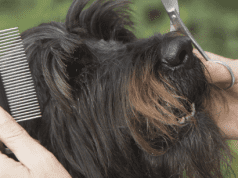 Basic Preventative Health: What Does Your Dog Need? 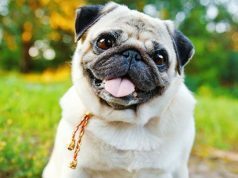 When you buy a dog, it's important to develop a plan of action to keep your pet in tip-top health. 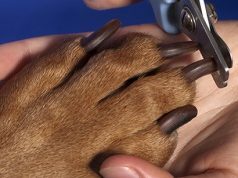 We have a look at some basic health measures such as vaccines, worm, flea and tick preventatives. 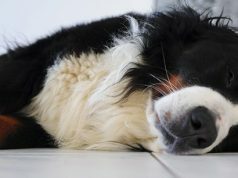 Bloat in Dogs: Is a Preventative Gastropexy the Answer?